Pregnancy is a magical time but it is also marked by some dramatic physical and emotional transformations. It can be a confusing time, particularly if this is your first pregnancy! Helping you better understand these transformations and what you can do to optimize health is the intent of the articles below. 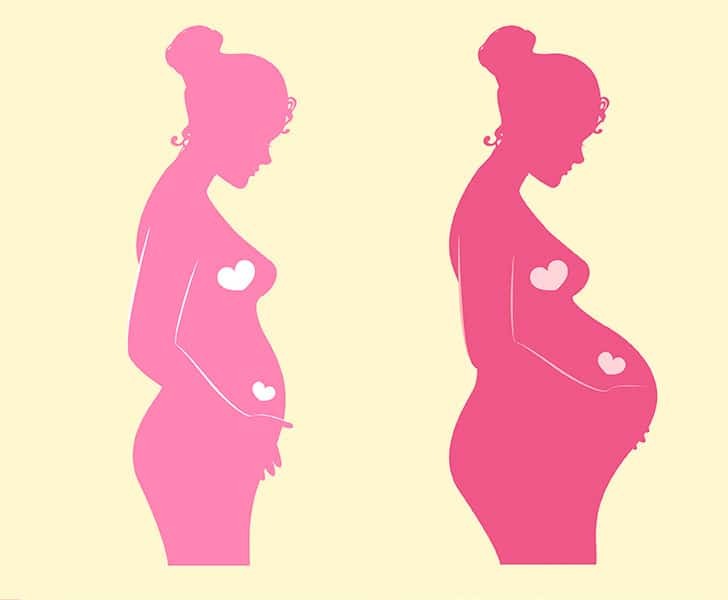 A pregnancy trimester is one of three, three-month periods in which your pregnancy is divided. Many women do not even know they are pregnant until the second month. Doctors actually do not consider a woman pregnant until two weeks after a missed period, which is when the egg is fertilized by a sperm cell. 1st Trimester: Weeks 3-8 of growth are called the embryonic stage, during which the embryo develops most major body organs. During these early months, proper nutrition and supplementation are imperative. In the first couple months of pregnancy common symptoms include: morning sickness, slight darkening of the areola, vaginal discharge, raised basal body temperature and constipation. 2nd Trimester: The third month of pregnancy (your second trimester), your baby is now called a fetus, and has grown to about the size of a fist. During this trimester, many of the aforementioned symptoms go away and you will begin to ‘show’. You will also begin to feel the movement of the fetus, which will be slight during this trimester. This is a very important time to focus on your calcium intake, which helps your baby develop strong bones and teeth. Be sure to keep fit with activities such as yoga and eat right during this trimester, your baby’s growth is dependant on how well you take care of your body. 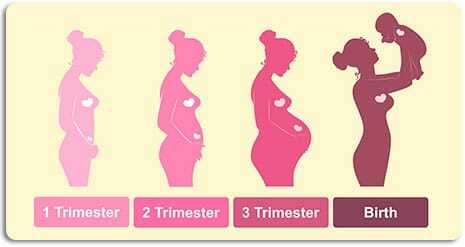 3rd Trimester: Your third trimester is known to be the most physically tiresome. Your baby is almost fully developed at this point and is continuing to grow enough to be born a healthy weight. This growth will cause pressure on your bladder, causing increased frequency of urination. Your legs may become sore and tired, and you may experience lower back pain due to the increased weight of your baby. You may also have trouble sleeping. During this trimester, as your baby grows, you and your family will begin to bond on a deeper level with her. The baby’s hearing is almost fully formed, so talking and singing help to establish a relationship before your baby is born. During this trimester, it is recommended that you stay off your feet as much as possible, and do not engage in heavy manual labor. When your baby is ready to be born, you may notice blood streaks in your underwear, have uncomfortable back pain, a dilating cervix, and finally- contractions. You are soon to become a mother! This entry was posted in Fairhaven Health Library, Featured Articles, Pregnancy, Pregnancy Basics. Bookmark the permalink. It took us 1 month!! !